Black Belt Enrique Watson cornering his fighters. Pancrase black belt, Enrique Watson has wasted no time developing a tremendous group of fighters in the Fort Leonard Wood, MO area. 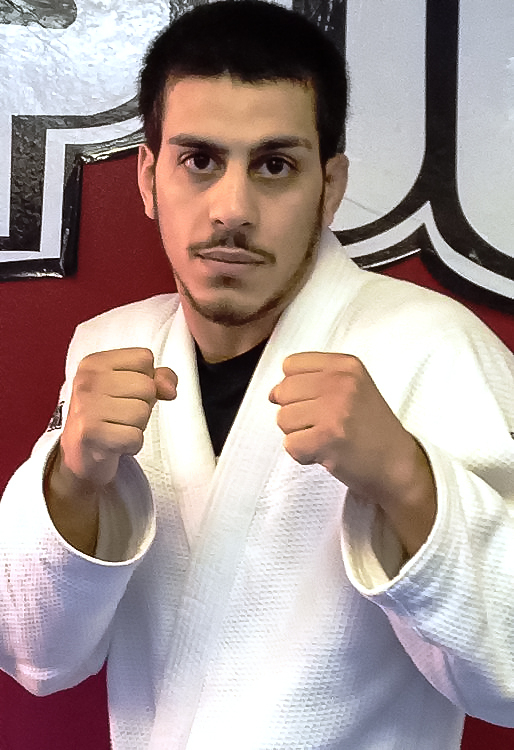 Though only in the area for a bit more than a year, Enrique already has 16 members on the team, most of them active fighters or grappling competitors. Additionally, he maintains a close relationship with 2nd degree black belt, Luigi Fioravanti in St Louis, MO to provide additional instruction and mentorship. Following are details of some of the team members. Colten Carmack (4-0 in MMA) won his Boxing match at the Harrah’s casino in Kansas City, Missouri by unanimous decision. Colten is a Pancrase white belt (4 stripes) and he started his training a year ago under Enrique Watson and now is an undefeated MMA fighter and boxer. He has also been selected as a contestant at the upcoming Warrior Island reality show; filming starts later on this summer in Hawaii! Also Pancrase white belt Stacy Bacon 3-1-1 mma and 1-0 kick boxing won his fight at the Harrahs casino friday night by unanimous decision! Toney Parker, Pancrase white belt (6-0 boxing) won his first kickboxing fight at the Harrah's Casino Friday night by 29-27 unanimous decision. Oren Jones, Pancrase white belt (4 stripes) won his MMA fight Friday night at the Harrah’s casino by unanimous decision. He is a 1stLt in the Army he is 3-3 MMA fighter. 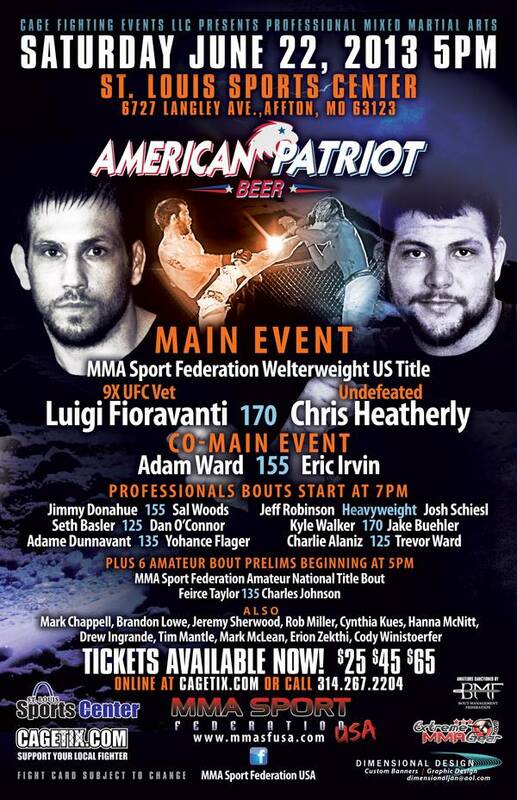 Oren is also fighting Saturday for XCC looking for another win in his MMA career. Also Stacy Bacon is fighting next Saturday for the XCC 170lbs title. 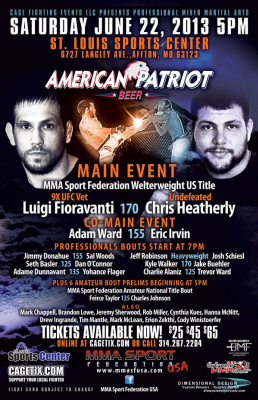 And last but not least Pancrase and American Top Team BJJ Black Belt, Luigi “The italian Tank” Fioravanti is getting ready for his main event fight for the MMA Sport Federation US welterweight title against undefeated prospect Chris Heatherly. This fight will take place in St Louis on June 22. Luigi will be cornered by Pancrase black belt, Enrique Watson. Another Title for Pancrase NC Affiliate Martial Arts and More (formally Wright's Extreme Martial Arts). attempts, escapes, slams, blood, knees, ground and pound and with seconds left in the 5th round Orlando wins with our secret school move the "Crack of Confusion". Really was an exciting fight all five rounds nonstop action. Congratulations Orlando Torrez and good luck with starting your pro career! Pancrase MMA Black Belt James Wright recently was awarded his Brazilian Jiu-Jitsu Black Belt by Professor Charuto Varissimo. He is Charuto’s 25th Black Belt. Mr. Wright owns and operates the Martial Arts and More academy (formally Wright’s Extreme Martial Arts) in Jacksonville, NC. His school teaches Pancrase MMA , Brazilian Jiu-Jitsu, Judo, karate, kickboxing, boxing, Okinawa Te, and Marine Corps Martial Arts. 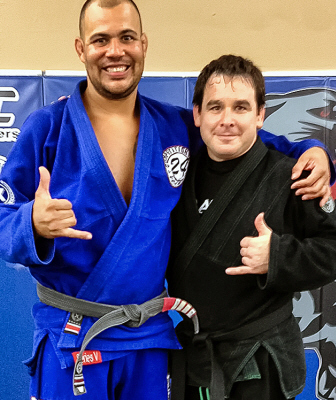 Pancrase Blue Belt Orlando Torres improved his MMA record to 10-1-1, and 1-0 in kickboxing. Orlando's most recent bout was on May 18th, at Shamrock’s FC Annihilation in St. Louis, MO. 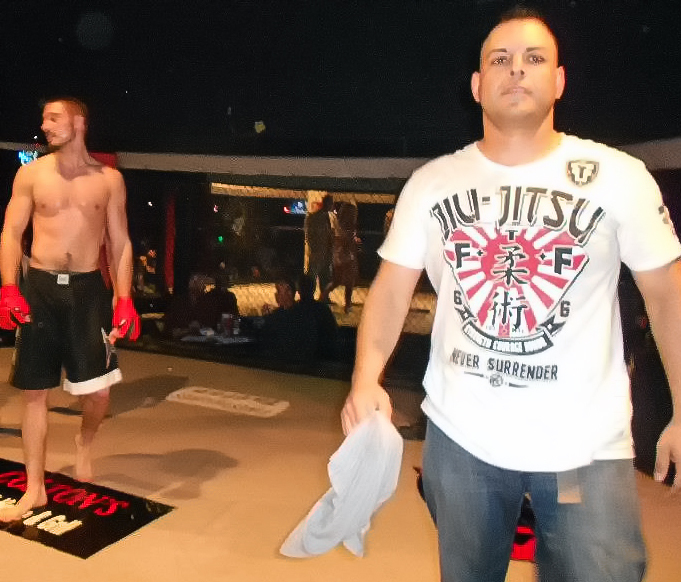 Orlando won, defeating opponent Bob Hinchcliffe by rear-naked choke. 3-times Battle of the South Champion - 135 lbs. Battle of the South Champion - 145 lbs. Pancrase Black Belt Major Jerry Roeder is retiring from the Marine Corps after 21 years. His service is being honored by a retirement ceremony on May 31st, at Camp Lejeune, NC. UFC 160 AT BOONES WITH RUKUS - This Saturday in Denver Colorado! Just this month Colorado's own BRANDON RUKUS THATCH signed a four fight exclusive deal with the UFC. Come help us celebrate the next step in the career of one of Denver's most promising young fighters. Following devastating knockout wins against Travis Browne and Alistair Overeem, Antonio "Bigfoot" Silva gets the rematch he has craved on Saturday, May 25th when he challenges Cain Velasquez for the UFC heavyweight title. Plus, two of the division's biggest punchers will square off, as former heavyweight champion Junior dos Santos battles the resurgent Mark Hunt in a bout guaranteed to produce fireworks. UFC 160: Velasquez vs Bigfoot 2 - Saturday, May 25th, live on Pay-Per-View from the MGM Grand Garden Arena in Las Vegas.